Raul Castro demands U.S. return Guantanamo to Cuba. Guantánamo Bay, Cuba, April 9, 2014. Relationships, even between countries, are about compromise. Cosmo taught me that. Despite the sudden warming of U.S.-Cuban relations, there were always going to be sticking points between the decades-long adversaries. 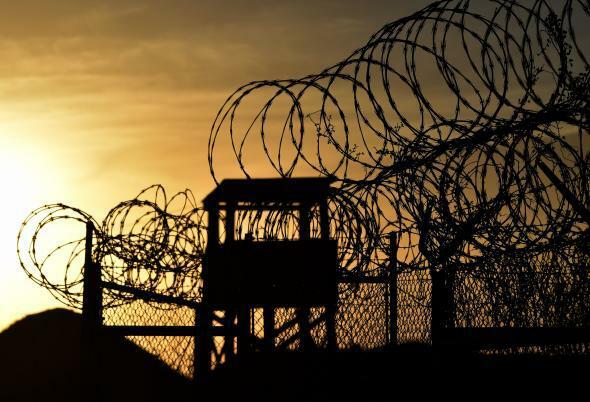 On Wednesday, Cuban President Raúl Castro issued a not totally unsurprising demand as a condition of normalizing relations with its neighbor: Cuba wants the U.S. to return the military base at Guantánamo Bay. Castro also called for the lifting of the U.S. trade embargo during a speech at a summit held by the Community of Latin American and Caribbean States in Costa Rica. “The re-establishment of diplomatic relations is the start of a process of normalizing bilateral relations,” Castro said. “But this will not be possible while the blockade still exists, while they don’t give back the territory illegally occupied by the Guantánamo naval base.” The U.S. established the Guantánamo military base in 1903 on land leased by the Cuban government. The current government, led successively by the Castro brothers, has been demanding the return of the land since it came to power during the 1959 revolution. Since the Dec. 17 announcement by Obama and Castro that the two countries would work toward renewing diplomatic ties, Obama has loosened the trade embargo, removing restrictions on U.S. travel, remittances, and exports to Cuba. Castro, on Wednesday, also demanded the U.S. pay hundreds of millions of dollars in damages for the losses the country incurred because of the 52-year trade embargo.